A fantastic addition to any cookware collection this superb Russell Hobbs self-basting roaster is perfect for making tender meat or moist vegetables. Made from durable steel with a vitreous enamel coating, it is resistant to sticking and dishwasher safe for effortless cleaning after use. 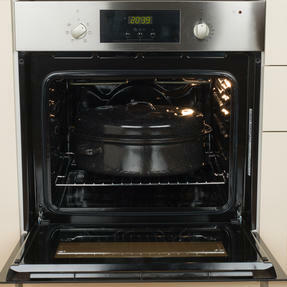 Suitable for use in standard gas and electric ovens up to 230 °C it has a timeless style that will fit in perfectly in any kitchen. This roaster can be used to make a variety of foods for hassle free cooking. Ideal for any home cook, this Russell Hobbs roaster keeps its contents basted throughout the cooking process for beautiful tender meat. 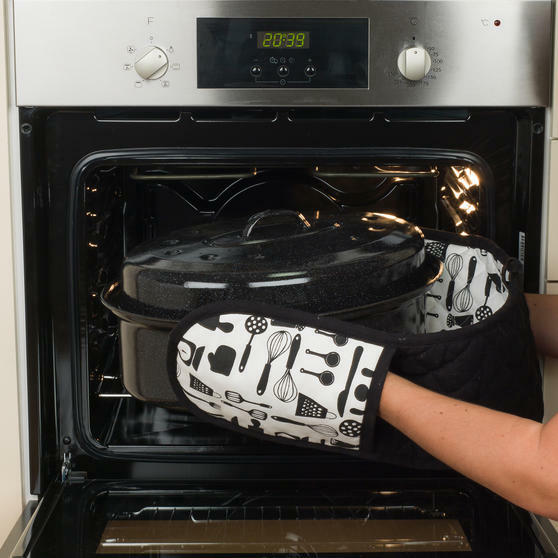 Made using vitreous enamel-coated steel, it is perfect for cooking meat or vegetables in the oven preventing food from sticking. 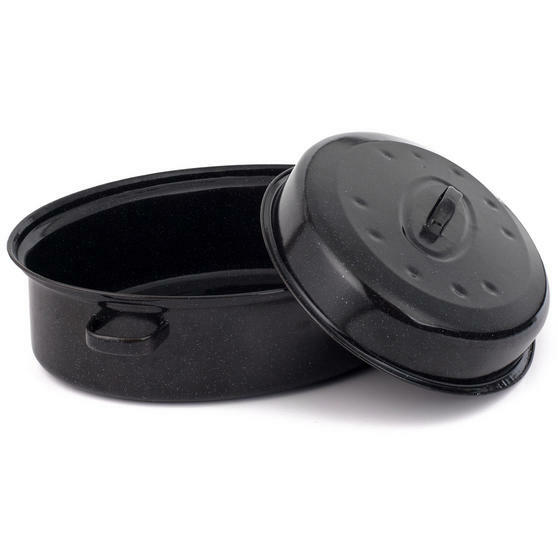 This stylish black roaster comes with a fitted lid and can be cleaned effortlessly after use either by hand or in the dishwasher. 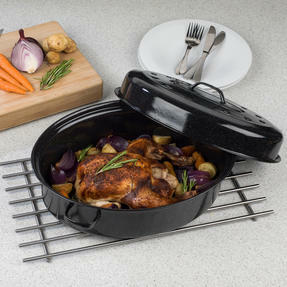 Long lasting and durable the roaster is designed to cope with the demands of a busy kitchen and it comes with a 2 year guarantee. Safe for use in ovens up to 230 °C, this roaster can be used to make a variety of foods making it an ideal addition to any kitchen.